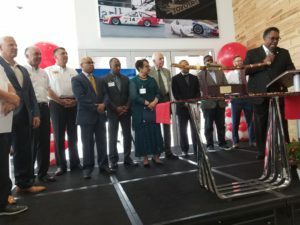 Atkinson Toyota South Dallas held a grand opening and ribbon cutting August 25 at their 115,000 square-foot, completely redesigned, modern dealership. Paul Atkinson welcomed a throng of civic leaders and Toyota VIPs to the event. Six local Chambers of Commerce received checks of $5,000 each from the community-minded dealership. Desoto, Duncanville, Cedar Hill, Lancaster, Oak Cliff and Waxahachie Chamber of Commerce received checks. Owner Paul Atkinson delivered official remarks at the opening, along with Javier Quiros, President of PMG. Proclamations were made by DeSoto Mayor Curtistene McCowan and Dallas Mayor Pro Tem Dwaine Caraway. 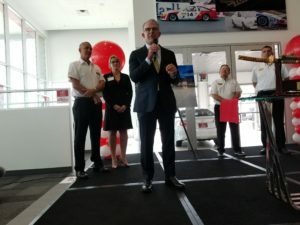 “Not only did Atkinson Toyota have a Grand Reopening, but they pledged their continued support of the communities in a Grand way. $30,000 Grand,” said Duncanville Chamber of Commerce President Steve Martin. Local labor, supplies and materials were used in constructing the new facility, which took 18 months. The LEED certified dealership features a state-of-the-art showroom and even added an upstairs cafeteria area. Air conditioned service departments were also added, along with the expansive indoor sales delivery area. 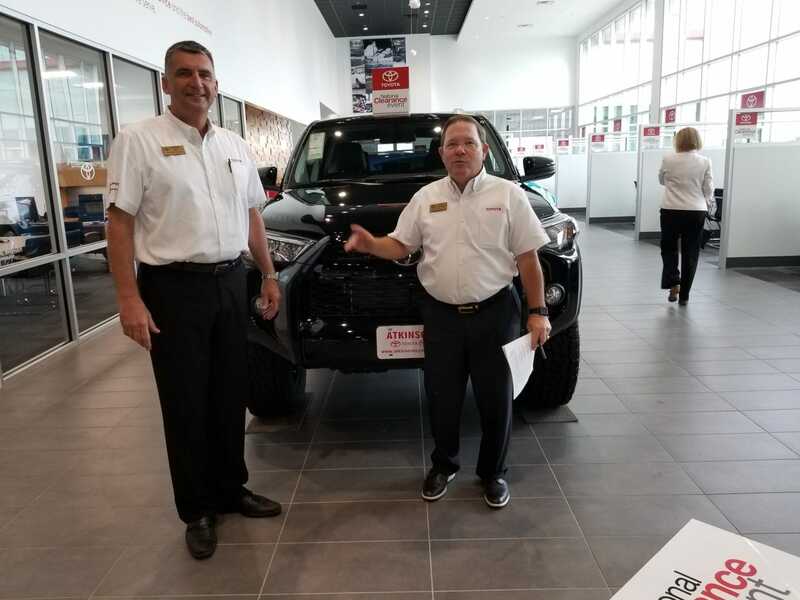 Atkinson Toyota South Dallas General Manger is Darren Day. The newly expanded facility also boasts an expansive selection of vehicles. These include both new and certified used Toyota cars, trucks, SUVs and vans. The dealership is located at 39660 LBJ Freeway South in Dallas. Their showroom is open Monday-Saturday from 8:30 a.m. to 9 p.m. The service center is also open six days a week. Visit atkinsontoyotasouthdallas.com.